A melt in your mouth cinnamon roll casserole made in a slow cooker. This is one delicious breakfast that your entire family will devour! • Spray your slow cooker bowl with a non-stick cooking spray. • Place one roll of quartered cinnamon roll pieces at the bottom of your slow cooker. Save the frosting packets for later. • In a small bowl, beat eggs. • To the beaten eggs add the heavy whipping cream, maple syrup, vanilla extract, cinnamon and nutmeg. Blend well. • Pour the egg mixture evenly over the cinnamon rolls in the slow cooker. 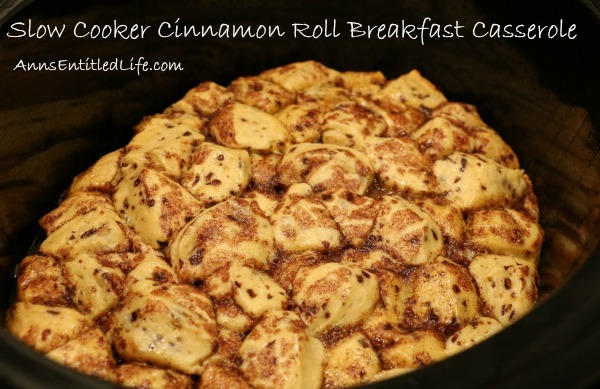 • Place remaining roll of quartered cinnamon rolls on top of the mixture in the slow cooker. • Cover and cook on low for 2.5 hours, or until sides are golden brown and the rolls are set. • Spread frosting that came in the cinnamon roll tubes over the warm cinnamon roll casserole. 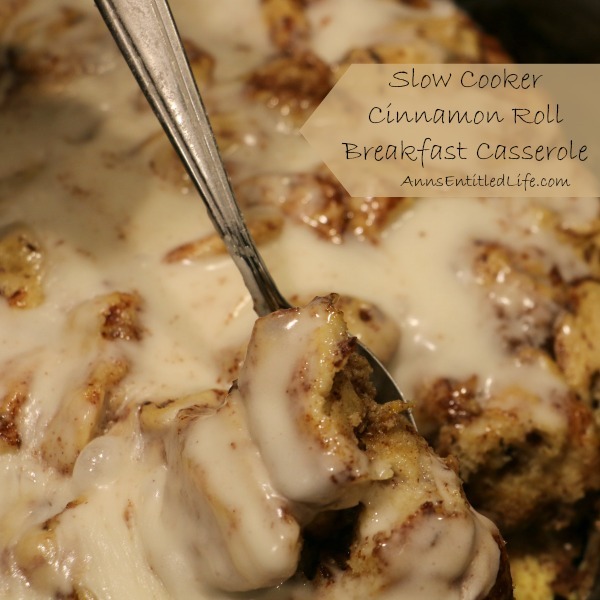 To print the Slow Cooker Cinnamon Roll Breakfast Casserole, click here. This is the Gooseberry Patch Slow-Cooker Christmas Favorites recipe almost to a T. I made very few changes: the frosting is all on top, the original recipe calls for it in between layers. I also upgraded to heavy whipping cream, and vanilla extract. That is what it looks like unfrosted. This recipe is too much for two people. Seriously. If you have a small slow cooker and want to make half a recipe for 2-3 people, I think it would work. Just watch the cooking times as I have not done it myself, and I don’t know if the cooking time is less in a smaller slow cooker. Also, this was terrible day 2. Just sayin’. For as good as it was day 1 (OMG I wanted to eat the entire pot! ), day two it did not reheat well. At all. 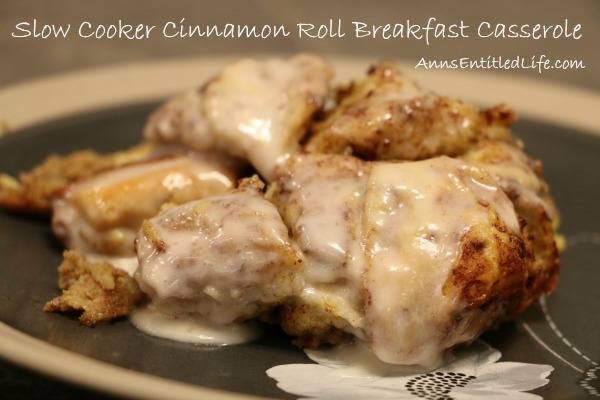 So, consume on day 1 or face dried out Slow Cooker Cinnamon Roll Breakfast Casserole on day 2. 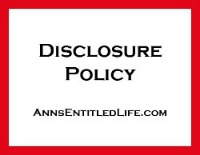 • Disclosure – the links in this post may be affiliate links. I can’t wait to try this! Thanks for making it easy to print as well. This looks so yummy! I’ve been looking for a breakfast casserole to make for work. This will work for both the meat eaters and non meat eaters in my department. Thanks! You are welcome, Amy! Hope they all enjoy. So all you have to do to make it not dried out is prior to reheating make a simple icing from powdered sugar and milk or cream. Drizzle over top prior to reheating in the microwave, or over top after reheating. This is what I do at home for leftover day old cinnamon rolls so I’m sure this will work for this casserole. or slice it and use to make french toast. Leftover Cinnabons make great french toast, so this should, too. How did it go in the oven, Kim? LOL Yeah, I can relate Kim… I had to walk away or I would have done the same. What temperature?what was the result? I’m sure I would eat all of them or at least most of them in one day…LOL. I think adding currants or raisins would make them even better, because I love cinnamon rolls with raisins or even cranberries. How long did it take in the oven? 45-50 minutes for my extra large size canned cinnamon rolls.. I cut them into quarters then spread them out evenly.. and poured the egg mixture over them. May I ask KimH if you used a rectangle casserole? I will have my nieces and great nieces for our Christmas Girly Slumber Party and this would be the perfect breakfast treat the next morning. I dont have a slow cooker. Also there will be 8 of us (ages 40 to 13) so how many “tubes” of cinnamon rolls would you think one might need? Thank you for a reply . . . I used one tube of extra large rolls.. and cooked it in a 6×8 casserole dish.. I think if I were hosting 8 people I’d make it as written and put it in a larger casserole dish. i cannot do the eggs can you leave them out in this recipe? If so will it turn out the same or should I try something else instead? Yes, it will not turn out the same without eggs, Angie. What about an egg substitute? That should (no guarantees, I have not tried it) hold it together. 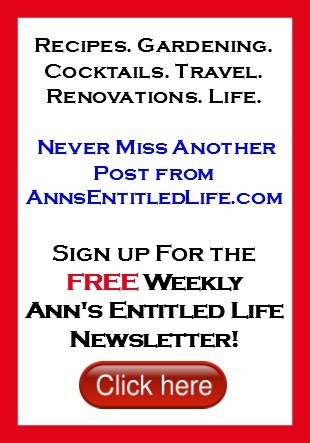 Ann…. can you set up night before and cook in am. Ken I think the raw eggs might be a concern. If you are leaving the set-up out to cook on a timer, Eggsafety.org doesn’t thing that is a safe idea. In the fridge? Read the Eggsafety.org recommendation (but it is a fast prep-time, so I don’t think that is what you mean). 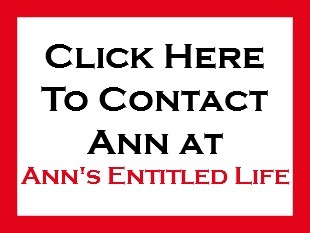 Ann I am sorry I forgot to mention that I would of set them in the fridge. Probably for no longer than 5 hrs. can i use pancake syrup? It will be more watery, Cassie. I’ve never used pancake syrup so I cannot tell you what adjustments may need to be made with cook time. Can those who have tried this yummy recipe in the oven instead of crock- share specifics, size pan, temp, time, and one large can instead of two small? I would be interested in making a 9×13 pan. Sounds so amazing! Ill be making it on Wednesday morning so I will be happy to let everyone know what happened. My Wolf has been down since the day after Thanksgiving. Note “after” Thanksgiving 🙂 . . . thank heavens. 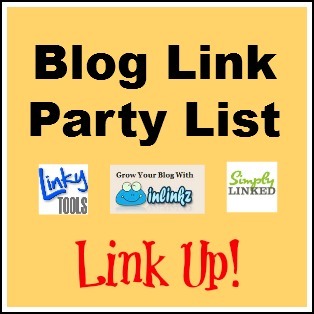 It will be up and running this Tuesday afternoon. I have everything in my fridge just waiting to put together which includes one very large can of the Pillsbury. I made it this morning in the oven – 9×13 glass baking dish – so I made 1.5 times the recipe. 325 degrees for 45 minutes. I also added diced pre-fried bacon and raisins 🙂 it was super-yummy! What was the temp of the oven? These look delicious! Is there is a specific brand of Cinnamon Roll tubes you prefer? Pilsbury, etc? 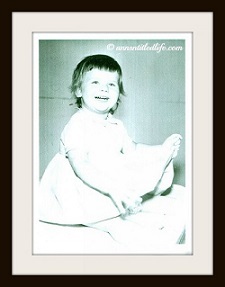 The ones in the photo were made with Pillsbury brand, Karyn. What size crockpot was used? Betsy I made this in a large crockpot (Hubby told me 7 quart). So, when you say to quarter the cinnamon roll tubes, do you mean the long way or short way? Hi Jamie, each piece of cinnamon roll comes already sliced. Stack 2-3 on top of one another. Now cut that pile in half across the circumference of the roll. Now, cut it in half again perpendicular to the original cut, again across the circumference of the roll. You now have quarters! Will the egg make it like a french toast style cinnamon roll? I very much look forward to this. Thank you! Not really, Wayne. It sticks together as a binder, but doesn’t really cover the entire cinnamon roll. I hope you enjoy!! This recipe looks terrific! I want to try this, but my crockpot is only 4 quarts. Is that large enough to do this recipe? Oh boy, that is a good question, Scott. I think I would half the recipe the first time you try it to see how high it rises in your crockpot. I would also watch the time. I am uncertain if it would need the full 2.5 hours (on low) if you are only working with half a recipe. How did the 4 qt turn out? Cooking time? Wow, after almost 1 year, I had forgotten that I ever commented on this website. Sadly, I never got around to trying this recipe in my 4 qt. crockpot, so I can’t tell you if it would work or not. Sorry I can’t be of more help. this recipe did not work at all. The bottom burnt, the eggs didn’t even finish cooking, I followed the recipe to the T, and it failed to cook right…. I am sorry it didn’t work for you, Greg. It is a pretty tried and true recipe though (as I said in my post, it is almost exactly the one from Gooseberry Patch that they put out years ago). If your cinnamon rolls burnt and the egg didn’t cook, I am baffled… if the bottom burnt it was too hot, or if the eggs didn’t cook it wasn’t hot enough, but to have the two happen at the same time? I have no answers Greg. Wow I did not know that, Dayna. Greg has reply to comments turned on, so hopefully he sees your advice. I am with you Greg. Mine are in the crockpot now and have been for 2.5 hours. the edges are done and the rest is still raw. Looks like the middle should take another 2.5 hours. I hope you read Dayna’s response above, Cheryl. THIS IS GENIUS! i cant wait to try it!!! “) thank yoU! If you had leftovers of this and it dried out, I would make a vanilla cooked pudding and add some of it to the crockpot. It should be different but still delicious. Worth trying anyway. Can you make this up the night before and keep in the fridge until morning and then cook? 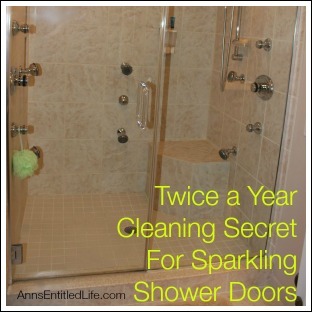 Bev, I’m actually trying this out tonight. I also made my cinnamon roll dough from scratch, so I guess we will find out tomorrow if overnight in the fridge works! And am setting it in the fridge overnight to be cooked in the morning for the kids’ breakfast. I hope it turns out!!! Chris, did it work making it from scratch and doing it the night before, thinking of this for Christmas Morning and want to make it Christmas and have it cooling while we opeb presents. Yes – but the dough still rose in the fridge, making my cinn buns almost pop out the top of my crockpot when I cooked them. I also set the temp to high for about half an hour because it was still too gooey. The taste was out of this world and I couldn’t stop eating them!!! Bernice I think your best bet is to read your crockpot instructions to figure out how to start from 0. I have this same recipe but don’t wait 2.5 hours to eat! Bake in a 9 X 13 pan for aprox 20 min! I melt a stick of butter in pan while oven is warming, toss in the cut cinnamon rolls, pour egg mixture over it, bake. When done I frost and serve! It is delicious and very good rewarmed days later! What temperature did u set the oven for? Did u use a glass or metal 9×13 pan? Thanks! Ok so I was not sure how the eggs would taste with the cinnamon rolls. Well about 3 hours later my house smelled like a bakery, and lifting the lit to my surprise was this wonderful mess, i iced the top and had a small portion, delicious, i then finished off the entire crock pot. Thank you for this marvelous recipe. I am glad you enjoyed it, Jason! wondering if you could use egg nog instead of whole cream to make them taste more christmassy…. I’m not a chef… but we made bread pudding once with egg nog and it was amazing. Heavy whipping cream has a milk fat content of 35%. You’d have to check the milk fat content of your eggnog to be sure it was close to the heavy whipping cream, Kim. I just made this and was very disappointed. I followed the recipe exactly as it is, except for the vanilla, which I ran out of and only put about half of what it called for. A lot of it tasted like egg. I don’t know what I could’ve done wrong, any suggestions would be appreciated, as I would like to try it again. No idea, Sue. As I said in my post, this is a pretty tried and true recipe from Gooseberry Patch, with minor changes on my part. Dayna did offer this up about slow cookers (which I never knew! ): Possible reason for recipe problems. How can I make these and then transport them an hour away? Wonder how to keep them warm and not overdone. You could just wrap the crock pot insert into a large towel or 2. We used to live 45 min. away from a place where we had potlucks, and the food was always still warm when we arrived. Can I put them in the crockpot on high to cook faster?? If so, for how long? I wouldn’t, Cassie. If you do try it, report back how it worked out! Could I make this up the night before and put the crock pot in the fridge and just pull it out in the morning 3 hours prior and cool? Can you make without Maple Syrup?? Nikki you’d need something that is not only liquid, but the consistency of maple syrup to make up for it. Corn syrup, perhaps? Wow would that be sweet though. Did you use the circular crock pot that stands taller or the more oval oblong less tall crock pot? Thanks! Received a new “Casserole Slow Cooker” as an early Christmas gift. Planning on christening it with this recipe for Christmas morning. Did the casserole cooker work for this? How long and what setting did you use? Loved this recipe. We are cinnamon freaks so added more cinnamon but recipe is a huge keeper. Ok so I am reading all of these comments and have realized I should have used my new bigger crock instead of the older smaller one. The outsides look about done but it’s still very doughy inside. It’s been on for about 2 hours. Could I just put my crock in the oven and finish it in there? I would, Mariah, but on a lower temperature than the normal, just so you don’t burn the bottom or edges. You really only want to cook the middle (if I am reading your comment correctly). It worked, I cooked on 325 for 10 minutes and it finished the middle! Thank you! wondering if you’d be able to substitute the heavy whipping cream for almond milk? thoughts? The fat content in those two products is worlds apart. You aren’t whipping anything though, and the egg is the binder, so it is possible it could work. Obviously I have not tried it so don’t know for certain what your cooking time would be either. If you do try it, could you report back on how it turned out, and any cook time changes you made? So I found your recipe on Pinterest and I wanted to make it for the teacher breakfast on Friday. I’ve had it cooking for 2h45m on low and it is still doughy in the middle. I think we have a 6q slow cooker. Rolls are quartered and I followed your recipe exactly. I turned it up to high and set a timer for 15 minutes. Would it be possible to cook it on high the whole time? Thanks so much- it looks and smells amazing! Someone also posted that they did baked it in the oven on 325 for 90 minutes. Someone else posted a different temperature and time. So, there are ways to edit this recipe. What cinnamon rolls were used? Were they big ones? I have a small/medium size crockpot. This sounds so yummy! Just the regular ones, Jolan, not the big ones. 😢 did this for Thanksgiving morning. It was a bust, dried out and burnt. My crockpot is a 4qt oval 4yrs old. I have had loads of trouble with recipes not working out. I would try again in the oven skip the crockpot. Thanks for the recipe! Rachel someone wrote higher up in comments (I know there are a lot of them) that the old crockpots have a tendency to do that due to the heating elements. I never knew that! It is possible that it is time to replace your crockpot with a new one if you see that happen with a lot of recipes. Also, a few people have written the oven instructions that they used (also above). I baked it at 325 for about 50 minutes in a 2 quart 9by 7 Pyrex and it came our great! I used the exact recipe. Thank you so much for the feedback, Kellie. That will definitely help!